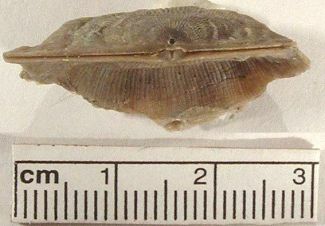 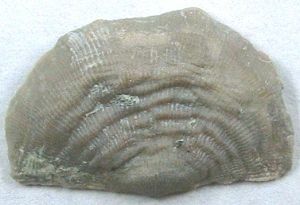 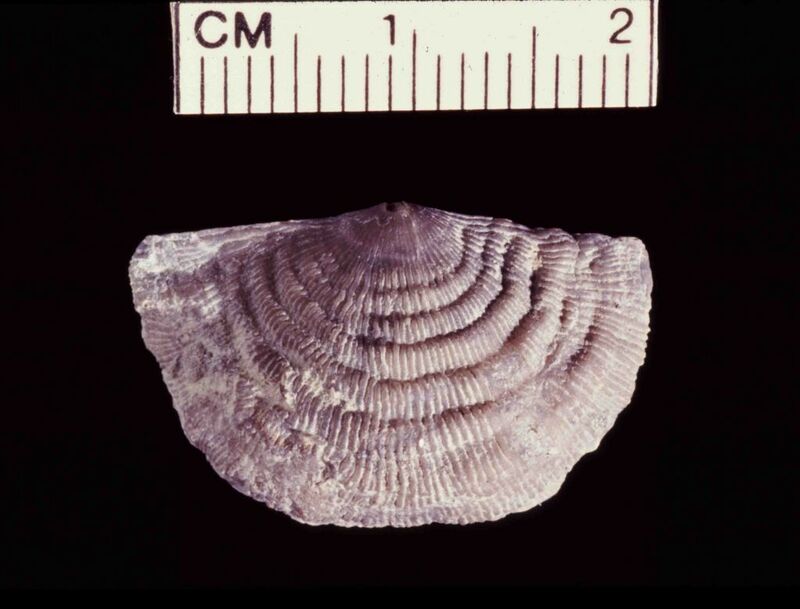 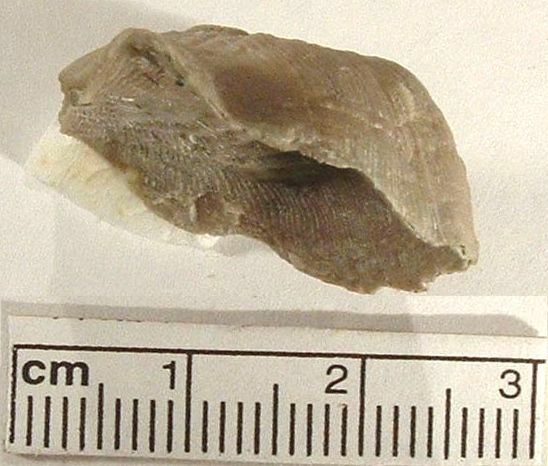 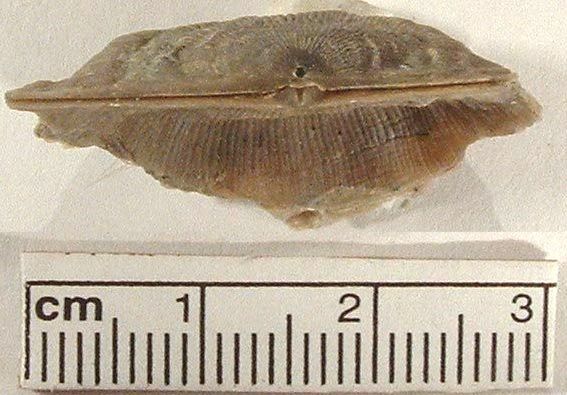 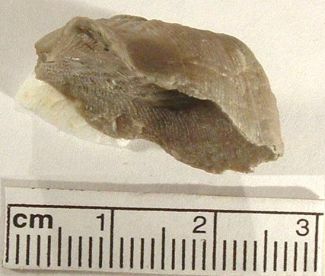 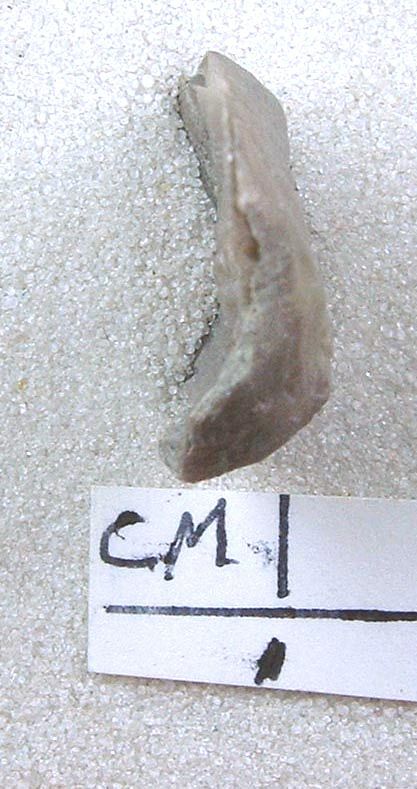 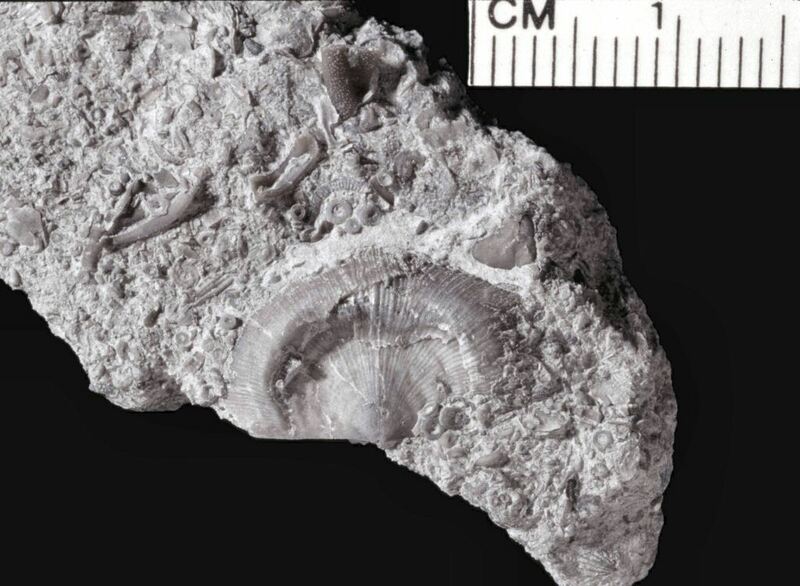 Mid-size brachiopod, rectangular in shape. 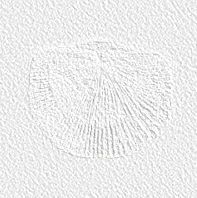 It is distinguished by four strong wrinkle-like growth lines in the dorsal valve that begin and end at the hinge line but curve parallel to the hinge line as they move away from it. 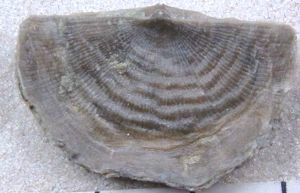 On larger shells, there can be an abrupt curving of the valves toward the margin with the brachial valve convex and pedicle concave. www.drydredgers.org is designed and maintained by Bill Heimbrock.